Ans. => I always enjoyed writing poems when I was in high school, but it never went any further than that until about ten years ago. How long does it take you to write these books? Ans. => I have been writing for about ten years, and this is a little difficult to answer. All of my stories came to me unexpectedly. I never had to sit and think about what I would like to write about, or if I would I like to write a love story or a mystery. I didn’t have to. The stories came to me. Suddenly, without any warning, I would have a story in my head. I could be sleeping or shopping for groceries in the store. I never knew when I would get the words. It was random and purely unexpected. Sometimes a title would sit in my computer for weeks, then I would get a paragraph. Sometimes I would get the ending of the story before I got any other words, but, to try to sum it up, I would say that each of my children’s books only took a total of three to four months to write. My two novels took much longer. My first novel, Sitting at the Kitchen Table with God, took approximately a year, and my second novel came to me much faster. I wrote The Pumpkin Patch in about six months’ time. It seemed to me that I never left the computer when I wrote The Pumpkin Patch, that is how fast the words kept coming. Ans. => In the beginning, most of my writing was at night. I couldn’t sleep because words were filling my head, and I would get up to write everything down. So many words were coming at one time that I kept a pad of paper by my bed so that I could just turn over and write things down. Eventually, I would work on the stories during the day, and any new idea that came to me at night would just be written down on paper. I would work on the new information the next day. I was lucky that I was only working part time, so I had plenty of time to write. For the past ten years, I would say I was writing seven days a week. Some weeks I typed a few hours a day, and then there would be other weeks where it was all day at the computer and maybe part of the night. Over the ten years, you could usually find me at the computer typing or thinking. Ans. => The very first book I wrote was a children’s book, A.R. Achnid. Everything started with that spider. It all started by accident. I am horribly afraid of spiders, so one night, when I couldn’t sleep, I tried to smoosh a spider with my shoe, but he fell down onto the dark rug. I could not find him. I went back to bed, slept for about an hour, and then all of these words just started running through my mind. I woke up wondering what that was all about, and then went back to sleep, but the words came back and were persistent. I got out of bed and wrote all of the words down, and then went back to sleep. Again, after about an hour of sleep, more words started running through my mind, so I got out of bed, once again, and wrote down all of the words. That continued for the rest of the night. The next day I put all of the words together, and A.R. was born. Ans. => With the help of Mindstir Media, we have published five children’s books and two novels. They have been so helpful, and our books are beautiful. Ans. => I believe all of my ideas came from God. I don’t believe I’m smart enough to come up with all of the words and ideas that have been given to me. Sometimes I would only get a title for the story, or maybe a paragraph or two, but they came from somewhere wonderful, and I’m very grateful for the opportunity I have been given to write my books. Ans. => I wrote my first book about ten years ago. I was around 55 years old at that time. Ans. => My husband and I like to walk, kayak, and go for rides. We love being around our grandchildren, and spending lots of time with them. Ans. 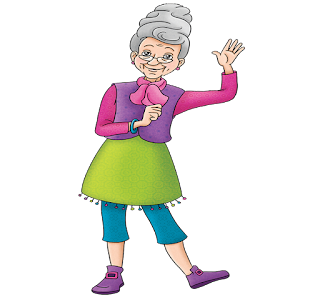 => I have written thirty children’s books, but only six have been published: The Polka-Dotted Girl, Ms. Sapphire Rose’s Six O’Clock Show, Sarah Bella’s Gift of Gold, The Magical Golden Birdcage, The Day Dad’s Ugly chair Went for a Ride, and The Adventures of A.R. Achnid (ten stories in one book). I have written two novels: Sitting at the Kitchen Table with God and The Pumpkin Patch. I have two favorite children’s books – The Adventures of A.R. Achnid and Sarah Bella’s Gift of Gold. A.R. Achnid was the beginning of all of my books, so those stories are very special to me. Out of my two novels, Sitting at the Kitchen Table with God and The Pumpkin Patch, I have to say that Sitting at the Kitchen Table with God is my favorite. It is a very emotional story, and it took a long time to write that book. I lost myself in that book with the strong emotions that presented themselves. Ans. => I’m not sure right now. For ten years, I couldn’t sleep, eat, or wash dishes without words running through my mind, almost 24-hours a day. The words were nonstop. Unfortunately, they have slowed down, so, apparently, my brain seems to be taking a vacation for a while, but I haven’t given up. I am working on two novels at the present time. One is a lighthearted story of a woman’s struggle with her life that has been turned upside down. The other story is a darker story, centering on a woman trying to deal with her past.